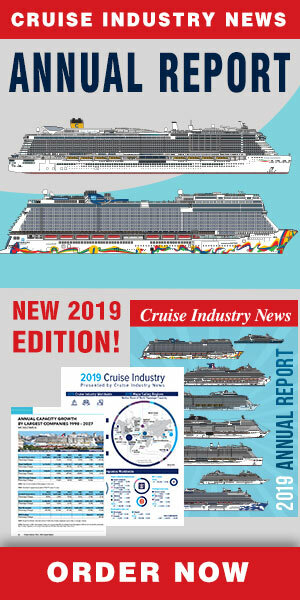 “My role is making sure that our brands are wildly successful and that the people within those brands are able to achieve the brand promise,” Stein Kruse, group CEO of the Holland America Group and Carnival UK, told Cruise Industry News. With 51 ships and some 60,000 employees at the six brands he is overseeing, Kruse said: “My key focus is on the people side right now, making sure we have the talent to lead, and that the next-generation leaders that we have in our brands are set up for future success. At the Holland America Group, Kruse is overseeing Holland America, Princess, Seabourn and P&O Australia and the shared services that are non-customer facing such as legal, financial, accounting, compliance, fleet operations and newbuilds. He said his oversight role at Carnival UK is about sharing the experience and knowledge he has gained over a lifetime in the industry so that they can benefit from that both at the Cunard and P&O brands and on the leadership side at Carnival UK. Risk management is another topic. “We live with risk; risk is in our business,” Kruse said. “Our job is to minimize it, reduce it and mitigate it. It goes to the issue of prevention. To reduce risk, you need to prevent it from happening in the first place. But if it does happen, you need to quickly detect it and then fight and suppress it. It comes down to protection, detection and suppression. Reflecting on his career in the industry, Kruse said: “I feel I have been able to help my colleagues grow this company, we have added ships, we have improved our operations, we have added capital, we have hired people, we have created career opportunities, we have tens of thousands of people around the world whose livelihoods depend on our business, either directly as employees or indirectly because they provide services to our ships and our company. To me this is probably the greatest accomplishment when I look back,” Kruse said. “Although I have been in this industry a long time,” he continued, “I still get excited about how well we are doing; I am excited about the people I am working with; I am excited about the new ships we are building; and I am excited that we are continuously elevating our performance for our guests, employees and shareholders.